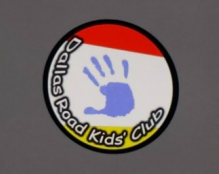 Dallas Road Kids' Club is a place for 4 to 11 year olds to come and have fun, stay safe and make friends. The children are in 3 groups according to their year group, Reception and Year 1, Year 2 and 3, then Year 4, 5 and 6. We offer lots of fun activities for all children. Lots of arts and crafts, cooking and baking, sports and dancing. Little group closely follows the EYFS and has everything set out for continuous provision. Looking for Nursery Care? We could help, as within the same building we also have an OfSted Registered Nursery. Go to Mucky Pups to find out more.